The Alzheimer’s Society is the charity closest to the heart of the group. However, we support also other good causes by being part of the entertainment on fundraising nights. Could Travellin Strings be at your service? Contact us to find out. 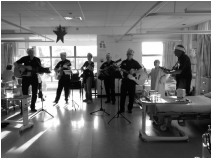 In past years we have played the role of strolling players bringing Christmas Morning Cheer to the patients at Bolton Hospital. We have helped and supported our group member, Chris Ward and his family, in their quest to raise £20,000 for The Alzheimer’s Society. ​--- our efforts continue however. We have performed at different kinds of venues and fundraising events for several different charities. 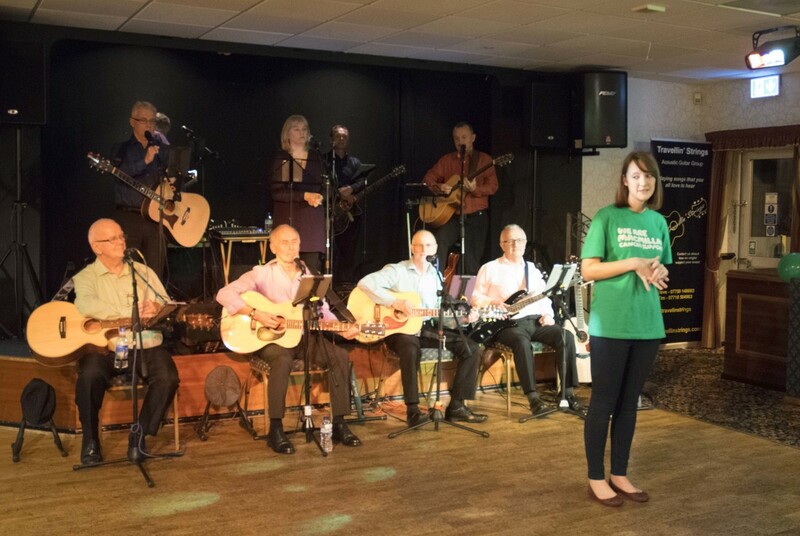 Travellin Strings continue to appear at the Macmillan Cancer Care Fundraiser at Dunscar CC and helped this worthy Charity to very successful evenings.